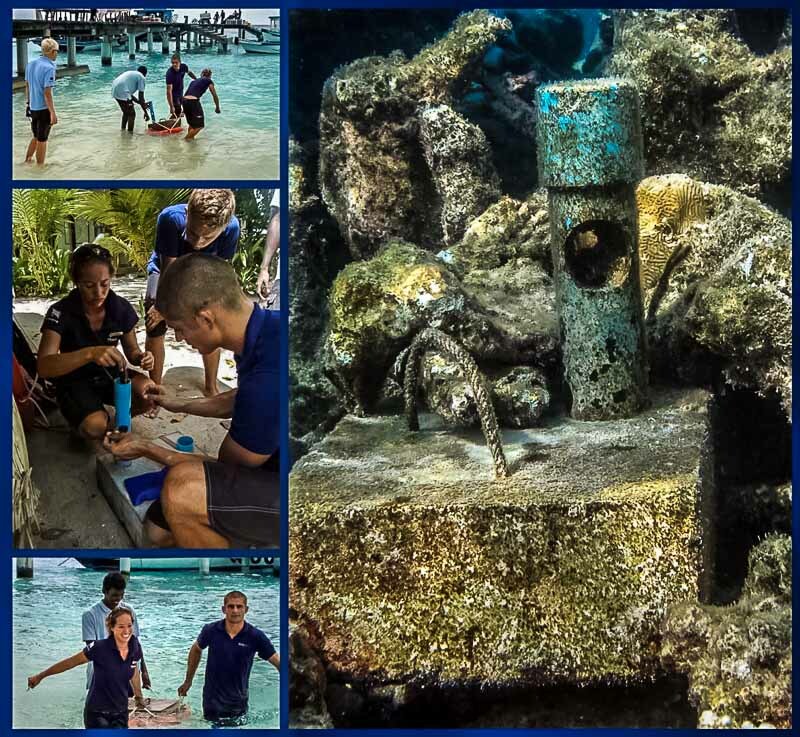 [D]uring 2012, Four Seasons Resorts Maldives partnered with Reethi Beach Resort to deploy a series of Water Temperature Stations in the ocean around Northern Baa Atoll. These 19 stations are located at strategic locations at depths of 2m and 10m, and are recording the sea temperatures every hour. 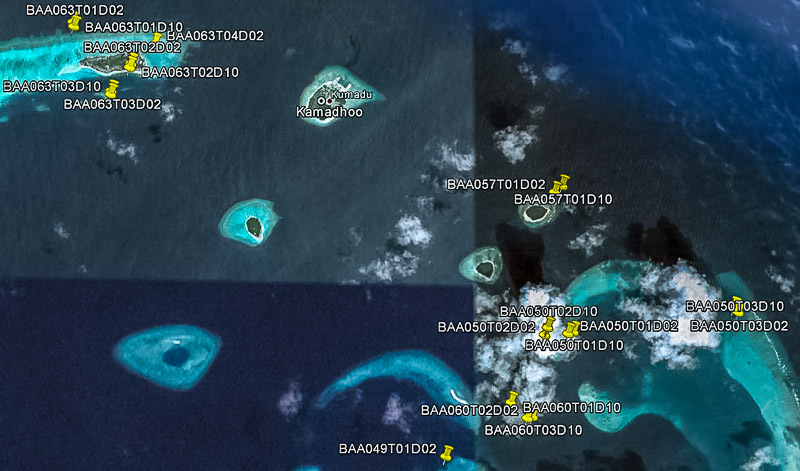 The aim of the project is to better understand the distribution, occurrence and severity of coral bleaching events in the Maldives. The stations are fitted with a waterproof data receiver ‘Shuttle’ that enables us to download the temperature data in-situ without us having to retrieve the actual loggers from the ocean. [A]nalysing the data we have received to date, the monthly average temperatures on all the selected sites have been relatively constant during the months from July 2012 to March 2013 (ranging from 27.9°C to 29.3°C). However there is a recorded drop in temperatures from November 2012 through to February 2013 (less than 29°C), which relates to the NE monsoon weather pattern (increase in precipitation associated with stronger winds from the North-East). Also, the warming of the sea temperatures in March coincides with the annual inter-monsoon period of calm weather that continues through April, and leads to a general expansion of the so-called ‘Indian Ocean Warm Pool’ (area with sea surface temperatures above 28°C).